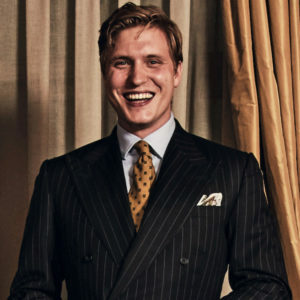 Rust-brown two-piece suit and grey and white striped cotton shirt, both Prada; burgundy, green and blue floral tile motif wool tie, Calabrese 1924 at The Rake. Watch: UR-105 CT in titanium and steel; Urwerk. Sometimes, as an introduction, cover stories such as this do some scene setting. Often it is in a trendy L.A. diner that 30 years ago served strictly grits, burgers and intravenous-drip coffee but that has now realigned to accommodate the huddled — and health-conscious — masses. In this instance, there is a hitch with that approach. I was in a secluded French town called Bargemon, gazing over the dark valley, with two phones and a laptop on record — and an ominous-looking storm drifting towards me. Willem Dafoe was in New York, delightfully chipper and fresh off the photoshoot for The Rake, which took place at the august Carlyle Hotel. The one major technical hitch, when we were cut off for about five minutes corrected itself and it was he who broke the ice (usually in these scenarios it falls to the interviewer). “So you went out for a coffee and came back, did you?” he said. I am pleased to relay that this unexpected bonhomie was evident throughout our entire discussion. 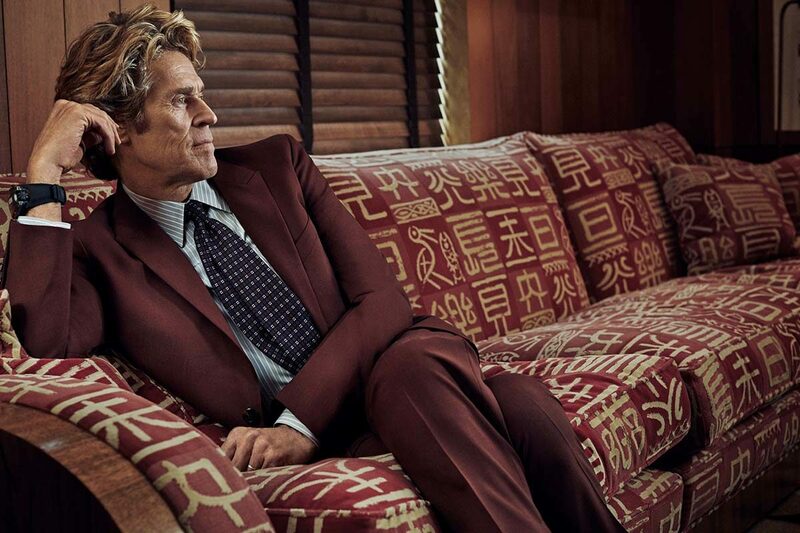 There is something about Willem Dafoe; he is without doubt enigmatic. Imagine trying to sum him up in a sentence. He is a living, breathing Rorschach test: his acting manifests itself in a way that reveals something about those who watch rather than he who acts. It is as if the subconscious is a plaything for his talent. His eyes glow with menace, and comfort with a gentle vulnerability. Perhaps the fact he has played both Christ and the anti-Christ best encapsulates this. It is a force that must be harnessed by the director, which is why, as we will discover, he is selective in whom he works with. A recent (and remarkable) outing as Vincent van Gogh with Julian Schnabel in At Eternity’s Gate shows it is a rubric worth sticking to. He is more interested in the work than the pay cheque. Authenticity is the order of the day then, but t’was not ever thus. Read the full interview in Issue 61 of The Rake – on newsstands December 7. Subscribe here.